The music sessions were introduced in October 2013 and have proved to be very successful. As well as working in partnership with the Midlands Arts Centre in Birmingham as part of their ‘MAC Makes Music’ programme we also work with resident musician Dan Whitehouse, international singer song writer Meldra (who has spent time in Los Angeles and has worked with the likes of Cee Lo Green, Gnarls Barkley and P Diddy), different vocal coaches, professional drummers and music technicians. 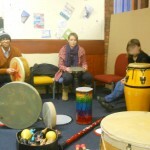 We work with such a wide variety of artists so the young people can learn new skills, gain more knowledge and have fun! They also work on their stage presence and rehearse for any upcoming gigs they might have. They have performed at the MAC in Birmingham and at the annual Looked After and Adopted chilldren’s Fun Day. From these sessions the young people have devised a band which is diverse and is ever growing with new musicians attending the sessions termly. 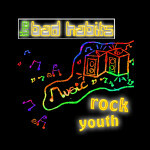 They have called themselves ‘The Bad Habits’ and have written and recorded their own songs in a professional studio environment producing a CD, which you are able to purchase. 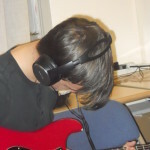 The music sessions have been particularly effective in boosting young people’s self-esteem and confidence by working together in a group in a supportive environment and completing their Arts Award which gains them a certificate. 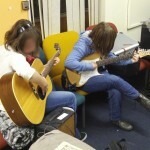 The music sessions run fortnightly on a Thursday evening at 5.30 – 7pm.